Kirk Bell June 1, 2018 Comment Now! 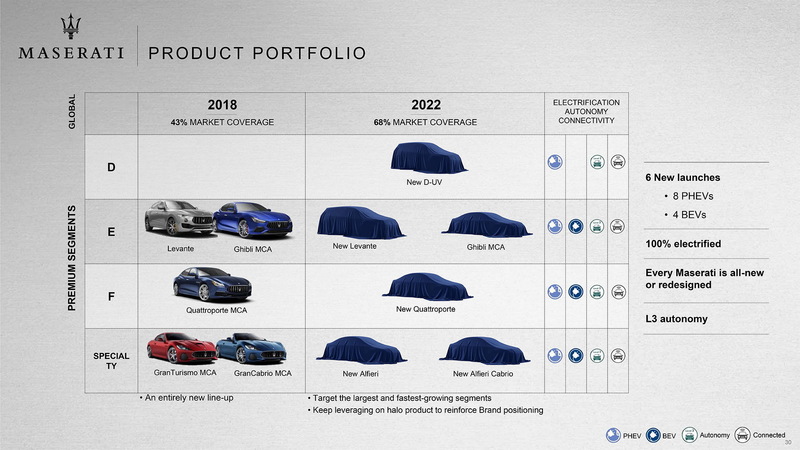 Fiat Chrysler Automobiles during an investor meeting Friday revealed that Maserati has an electric future...in more ways than one. The Italian luxury brand has been largely lost in the FCA portfolio, but it will get six new vehicles by 2022, including a long-awaited Alfieri halo car and a new SUV likely based on the Alfa Romeo Stelvio. Not only that but four Maserati vehicles will offer full battery electric powertrains supplied by none other than Ferrari. The Alfieri counts as two vehicles as it will be offered as a hardtop coupe and a convertible, both built on an aluminum spaceframe. The chassis will be modular to accept three different powertrains, all by Ferrari and including a battery-electric variant. A plug-in hybrid will also be offered with "e-AWD," which we are taking to mean an electric motor on the front axle to drive the front wheels and provide torque vectoring, while the engine drives the rears. 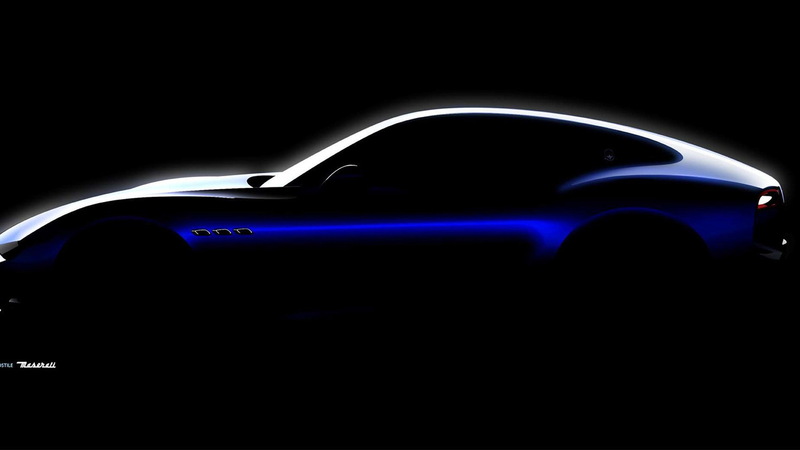 Maserati promises a low center of gravity for all Alfieri variants and quotes a top speed of more than 186 mph for the plug-in hybrid variant, as well as a blazing 0-60 mph time around two seconds. Active aerodynamics will also be part of the formula. Sadly, it looks like the Alfieri will replace the current GranTurismo duo. Joining the Alfieri coupe and convertible models as full BEVs will be a new Quattroporte and a new Levante. 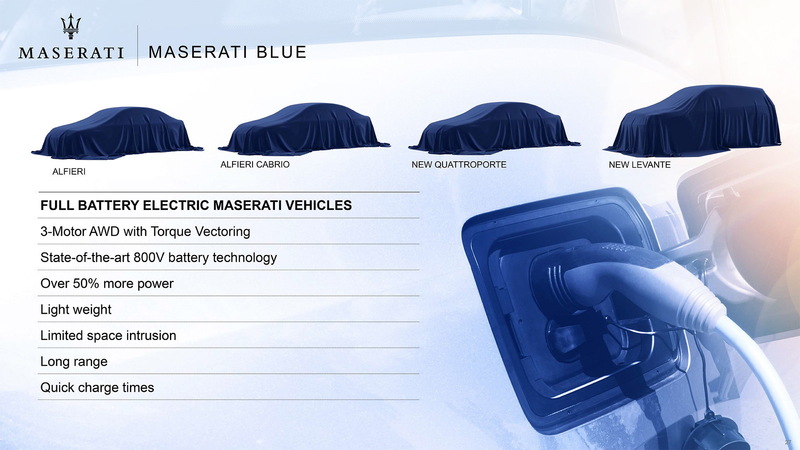 The BEV system, marketed as Maserati Blue, will use three motors, state-of-the-art 800-volt battery technology for high power output, and offer all-wheel drive with torque vectoring. Maserati notes that the BEVs will suffer little space intrusion and offer long range and quick charging times. The new Levante and Quattroporte will also come as plug-in hybrids. Maserati has grown from 6,000 units globally in 2012 to 50,000 in 2017 thanks to the Ghibli sedan and Levante SUV. The Levante now accounts for 53 percent of sales, and Maserati will further pursue the SUV market with the aforementioned Stelvio-based model. The vehicle will ride a best-in-class lightweight platform, have a 50/50 weight distribution, and offer best-in-class power-to-weight ratio, according to Maserati. It will be offered as plug-in hybrid. 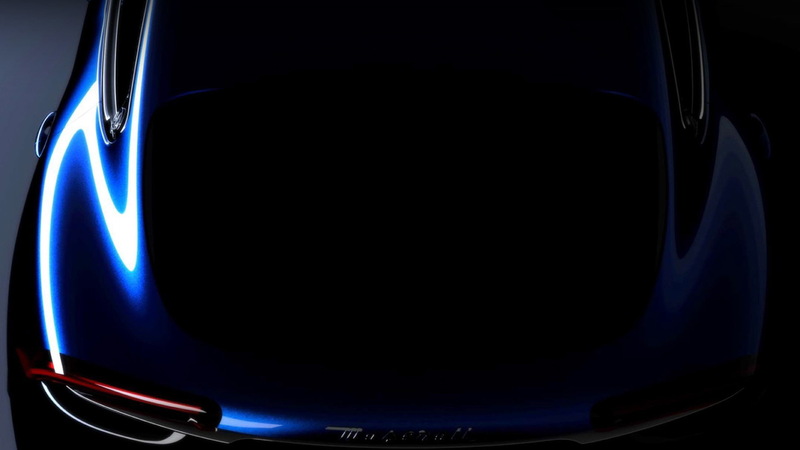 Maserati didn't mention a gasoline engine, but that is likely, too. A new version of the Ghibli is also due by 2022, and it will offer a plug-in hybrid powertrain. Every model mentioned above will be available with Level 3 autonomous driving capability. In addition to its product plans, Maserati intends to expand its dealer network, eliminate diesels, and grow its sales. Maserati projects 100,000 global sales by 2022, with a profit margin of more than 15 percent.